Agents who consistently top the lists in terms of production will tell you that winning in any market, up or down, requires an insatiable drive to succeed, a strong desire to help people and skills that can only be gained outside of a classroom. Most of them shy away from talking about volume and transactions, choosing instead to focus on the strategies that help them uphold the title year after year in a highly competitive field. 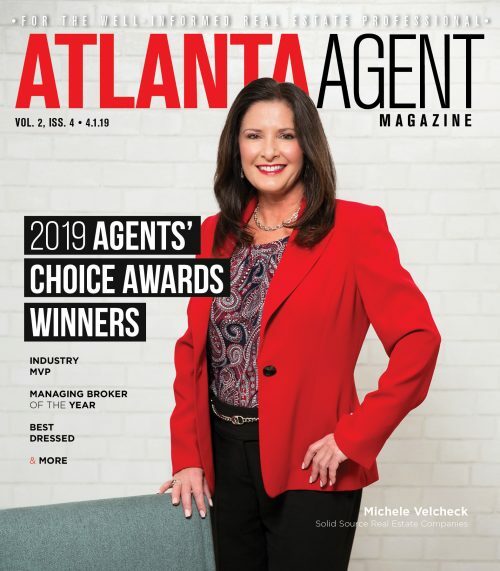 Atlanta Agent magazine spoke with three long-standing top producers—Jonathan Rich, Robin Blass and Natalie Gregory—to find out how they maintain the title in good times and bad, and the advice they have for rookie agents looking to replicate their successes. Walking the walk is especially important in real estate. Jonathan Rich, team leader with Keller Knapp, is a proponent of living in the community where you work. He said this “geo-centric philosophy” will help agents learn firsthand everything a potential buyer will want to know. Rich lives with his wife and six children in the East Lake neighborhood of Atlanta where he works. If living in the area is not possible, Rich suggests agents gain an understanding of the neighborhood they’re working in by doing as much business in one place as they can. “Try to understand who you are and where you fit, as far as your brand and relational presence in that community,” he said. Natalie Gregory of Compass also takes a hyperlocal approach by conducting business mostly within a 4-mile radius of her home. “I know all of the comparable properties because I’ve either shown them or sold them,” she said. After one full year of working in the business, Robin Blass made the Million Dollar Club at Coldwell Banker. But it wasn’t easy; she had to earn extra money waitressing during the first two years of her career. Blass remembers, early on, writing 13 contracts and not one going through. Her career started to take off after she gained negotiating experience by selling new homes in about half a dozen subdivisions, which also helped her establish credibility at a young age and build a listing business. 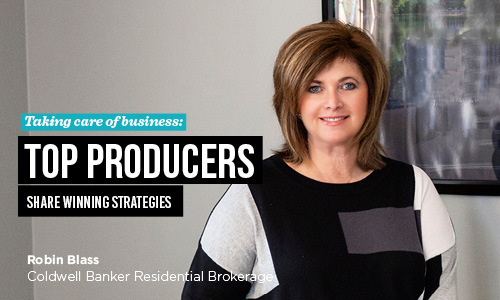 Blass often advises up-and-coming real estate professionals to hustle like she did. “Farm your sphere of influence, start your own database with everyone you know and try to find buyers as soon as you can so you can have a sale, which will turn you into an expert in that neighborhood,” she said. 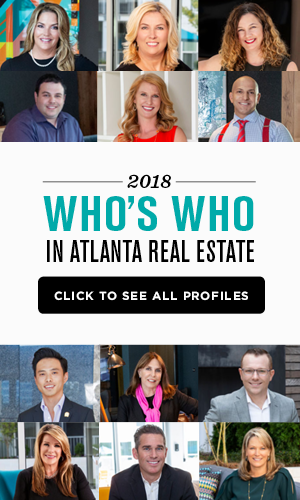 Now, after thirteen years in the industry, Gregory has learned to handle rejection and not take it personally if a client chooses another agent. She has also learned to deliver bad news early. “Rip off the Band-Aid and let someone know if they are not going to sell their house for what they think they are or buy their dream house for what their budget is — and work to find a solution,” she said. Gregory’s advice for new agents was all about making the right connections, both with people and information. “Set your mind to it, find a good mentor that can show you the ropes and teach you and always be open to learning,” she said. The only thing that changes when you become a top producer is more people request to work with you, because they see your name and accolades, Blass said. Naturally, after 38 years in the industry — and achieving Million Dollar Club status 37 of those 38 years — she gathers a lot of repeat business. But she also works hard to stay in touch with all of her clients through email and mailings, to make sure they remember her. The possibility of losing their coveted titles does not keep any of these top producers up at night. “If we’re doing the right thing, taking care of our clients, all of that will work itself out,” Rich said. And though they’ve found something that works for them, even successful agents need to be ready to pivot when necessary. Blass said she’s enjoying today’s relatively good market and interest rates, but that she also managed to sell 30 to 50 houses a year when interest rates were 19 percent by going after relocation business because companies were providing interest differentials. “You have to adjust your business plan with market conditions,” she said. Top agents often attribute their successes to proper time blocking. On a typical morning, Blass wakes up at 5:30 a.m., returns emails, organizes her schedule and that of her staff’s and exercises before 7:30 a.m. She’s usually not in the office for more than an hour each day. Instead she might be out in the field on appointments, visiting a listing to make sure it’s priced right or previewing a property for a buyer to make sure it’s a good fit. Blass admits she works seven days a week and other real estate professionals have probably figured out a better way. Still, she makes time for regular family dinners on Sundays and relaxing vacations. A successful day for Gregory is one where she’s gotten everything done that she committed to do. She often advises agents starting out to avoid letting anything go to the next day.